It's Sunday. And every Sunday in our house starts the same. I am a big tea lover, and although I love a cup of coffee (Starbucks Vanilla Spice Latte if you're offering), it's tea that wakes me up at the start of the day. I don't drink nearly as much as most other tea lovers I know - in the office, I tend to have just one if any cups of tea during the working day. I prefer to have the tea I know I like and to make it the way I like to make it and for me, it's more about have a cup to enjoy rather than needing a tea infusion every 30 minutes. I'm trying to explore new tea tastes as I'm trying to be better in all aspects of my diet and in my routines too. I love the taste of ginger and have tried a few fruit teas, but I've always been underwhelmed by the taste compared to the scent. They always smell delicious but all the taste just seems to be in the scent for me. I've come across Teapigs before and then the lovely team sent me a rather lovely delivery because they thought I was rather lovely too and deserved a treat. As I've said, having a cup of tea is a treat for me. Particularly when you become a mum, a cup of tea is a long-distant memory. Getting the time to sit down with a hot mug and enjoy every sip until it's all gone is quite the luxury and a great reward for getting all the weekend chores done, finishing the big shop and surviving the third play of Frozen in two days. It's tea time - cheers! Teapigs sent me three flavours to try and, with my early Mother's Day gift of Cath Kidston's Provence Rose tea set waiting to be taken for a spin, I quickly popped the kettle on. Each time I picked a Teapig bag out of the pack, I was immediately hit by the scent. Sweet Ginger was just brilliantly zesty, Super Fruits was rich and, well, fruity and Chilli Chai certainly packed a punch for my nosebuds... and gave quick a kick to my tastebuds too! I love the whole thinking of Teapigs - that tea should be savoured, good quality, full of taste - and I'm quite convinced that the biodegradable tea 'temples' work to perfectly infuse the flavours so rather than just smelling nice and changing the colour of the water, you actually get a tasty tea too. I'm really enjoying my new teas (and my new tea set - makes me feel like any day can be an ocassion!) and I'd like to enjoy these every day and try more flavours too, in the place of my standard cup or coffee, as most happen to be caffeine free too. I'd also really love to give the matcha tea a try, as it's something I've heard a lot about and I'm keen to find out more about the benefits for myself. 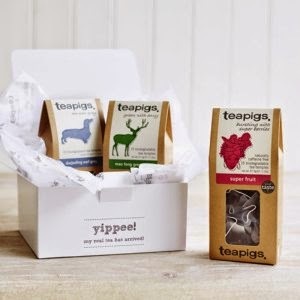 So, a Teapig subscription sounds like something quirky and quite delicious to try. The perfect treat for tea-loving mums this Mother's Day, Teapigs has just introduced a range of tea subscription packages so if you're looking for a different gift or want to try something new yourself, you can have a tea time bundle sent out each month. Three Teapig teas are selected and sent to you / your lucky mum each month and you can choose three, six or nine month long packages, at a cost of between £39 and £99, to suit your budget - and your / your mum's tea habits! 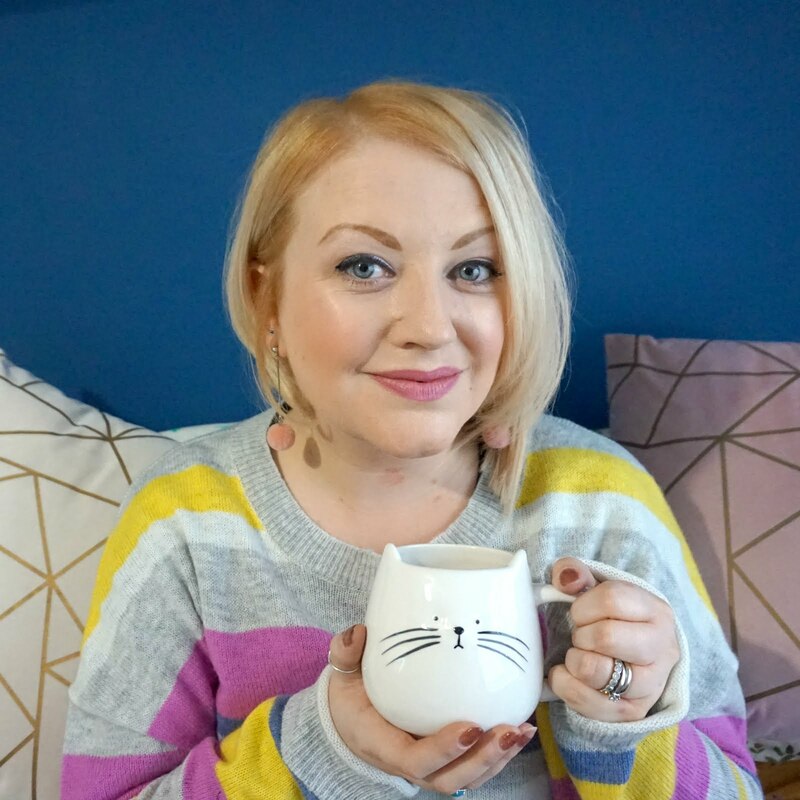 Giving the gift of tea is more than just a little treat for someone like me - it's the chance to put your feet up and enjoy a quiet moment - and that really is a pretty amazing gift. You can't go wrong with tea - I've heard a lot of good things about tea pigs.